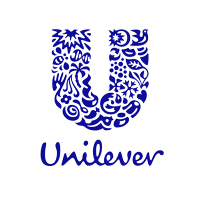 Procurement Manager is responsible for professional sourcing of products/services meeting the specified needs of the Business at most competitive commercial terms and supports Unilever Sustainable Living Plan in the procurement of materials and services. Develop and implement strategies for the procurement of the respective portfolios. Follow market conditions, prepare price trends and formulate future markets trends for the business. Support the business with accurate price forecasting. Prepares information on purchase prices and conditions to enable proper budgeting and cash forecasting. Identify metrics, tools and process to optimize sourcing, supplier activities and efficiencies. Delivery of the VIP programmes for the specific materials. Deliver the Operation Cash Flow and Working Capital plans for the specific materials/services and suppliers. Manage supply chain issues (e.g. crisis management). Measure and manage overall performance of suppliers.